At Excel & Access, LLC, we strive every day to help you and your company store and utilize data in a way that is effective, user-friendly, and efficient by providing benchmark Microsoft Application solutions in all of the Microsoft applications. 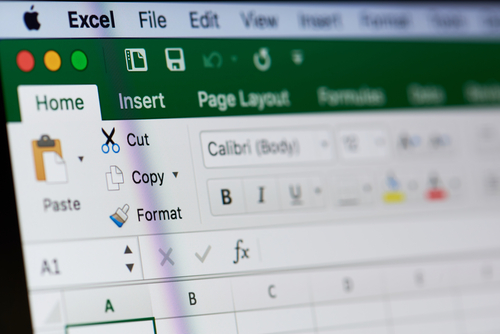 When it comes to Excel and Access programs, it just doesn’t get much more straightforward: learn about some of the reasons why Excel and Access are so helpful and easy to use. Although Excel is not a database, it is widely used to store data and solve simple database problems. However, Excel is a flat file rather than a relational database, and when you need to develop simpler tables into multiple tables of related data, Access is your first choice for quickly creating a database application. By entering your Excel data into Access, you can add and join tables, create queries or views, share and update data among multiple users, and create powerful forms and reports. Being clear and easy to use, using Access requires no expertise, making it simple for your team to create the tables and reports you need! Using Excel and Access in tandem with one another is a piece of cake. When you copy data from Excel to Access, it’s not even necessary to create a table first or open a table in datasheet view. Access will automatically ask you if your data has headers, make good guesses at using the correct data type, and then create a table for you. You can also smoothly link data from Access to Excel, import data between the two, and reconnect Access data to Excel — no elaborate training required. Once you’ve entered your Excel data into Access, you can take full advantage of the incredible array of report creation and customization tools, giving you the power to create a form or report with just a few clicks! For more information on what Excel & Access, LLC can do for your operations, call our team today at 877-392-3539.